Labels in SAP are printed from a wide range of applications. The labels may be e.g. trade labels, shipping labels or simple barcode labels. The labels are usually printed on thermal transfer printers, but can also be printed on laser or matrix printers. There are many challenges when printing labels. Depending on the form procedure, not all thermal transfer printers can be accessed directly from SAP. The printout is done outside of SAP or the form design is done in the editor of a label software. The printout is time-critical. The entire application must be designed and programmed in a high-performance manner. Special controls must be provided directly in the printer language of the thermal transfer printer. In this case, the form developer needs knowledge of the printer language. Depending on the used form tool(Sap Script, Smart Forms, Adobe Forms) certain functions in SAP don’t work. For example, the use of an explicit form tool is necessary when printing certain bar codes or printing on certain thermal transfer printers. 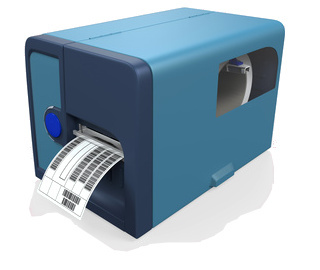 The printout of the labels can take place in a machine with a built-in printer which is not connected to SAP, e.g. a packaging or filming machine. Such machines are controlled either via a PLC or a material flow computer. The print job from SAP must then be sent to another system. Z.T. Such machines also have their own hard disks, where print jobs are stored in advance. In this case, the finished label from SAP must be transferred to the hard disk of the machine via FTP. The label design with Adobe Designer allows printing from SAP on all thermal transfer printers. For some time it has been possible, in combination with the printing services Sapsprint and Sappdfprint, to print out labels from SAP on thermal transfer printers from all printer manufacturers. To get this working, a special approach must be followed. We can show you how. With our many years of experience in background, we got in touch with a wide range of constellations in label printing. We have accompanied the life cycle of each form tool at the customer’s site and know its strengths and weaknesses. The whole range of tools is familiar to us, starting with SAP Script, Smart Forms, Adobe Forms and external label design programs. The topic of “SAP Label Management” is closely related to the Label printing in SAP. SAP Label printing is also one of the special topics in the SAP forms development. There is also information on SAP label printing in SAP. I would like to learn more about Label printing in SAP.